I don't know about you, but I love a good DIY project. It's so relaxing to turn on some tunes and make a cute little craft to unwind at the end of the day. 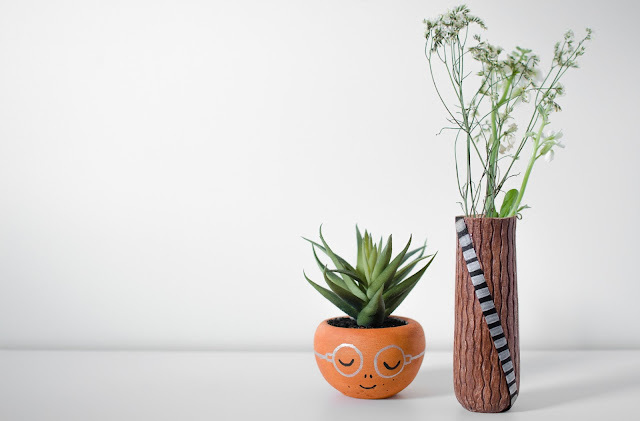 Today I created two little planters that are inspired by Chewbacca and Maz Kanata. Grab your paint brushes, turn on The Force Awakens soundtrack and let's get started. You'll need the supplies listed below. I found all of these items at Hobby Lobby for $20! Step 1: Paint the round planter with your orange acrylic paint. Let dry. Step 2: Paint the taller planter with brown acrylic paint. Let dry. 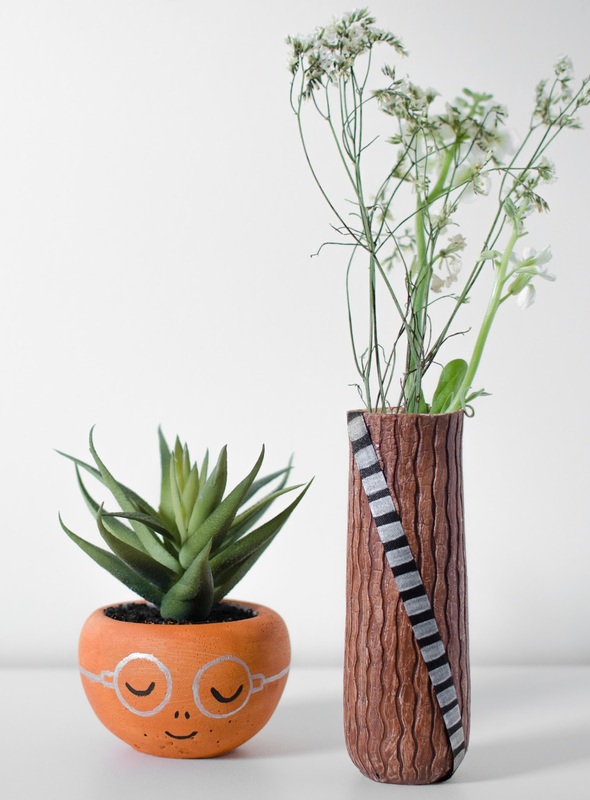 Step 3: Paint a strip of black ribbon as tall as your brown planter with silver stripes. 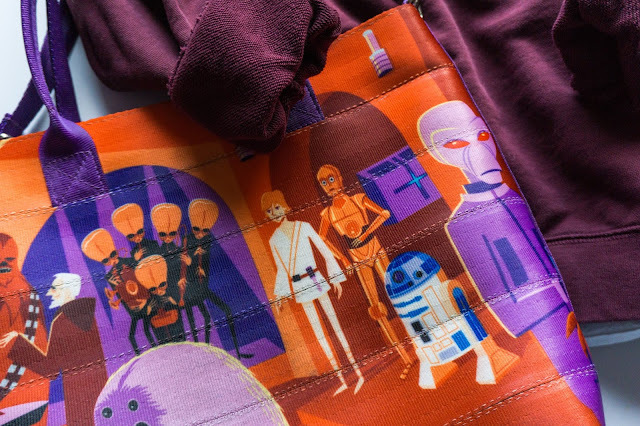 This will be Chewbacca's bandolier. Set aside and let dry. 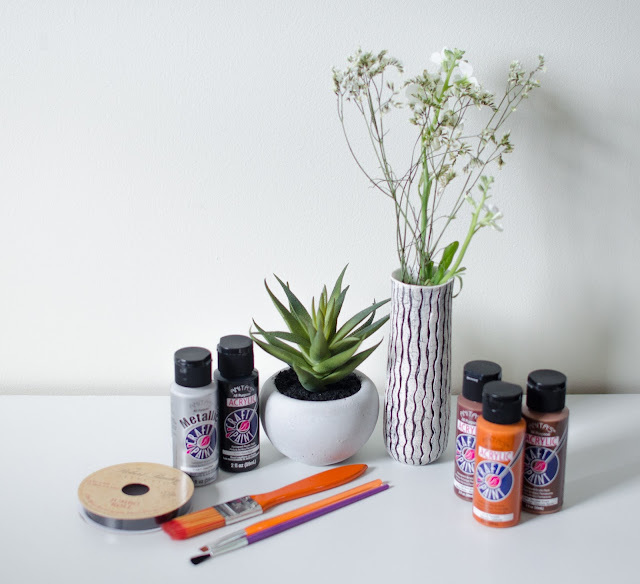 Step 4: Use a fine bristle paintbrush to draw glasses on the orange planter with silver paint. Remember Maz's glasses do not connect at the bridge of the nose! Now use your black paint to draw eyes, a smile, and a nose. Step 5: Tape or glue your ribbon in a diagonal position across the brown planter. Voila! You're done. Display your planters together on a shelf, in a window or on your desk.